I was really hoping JJ was gonna throw us EU fans a bone and put Thrawn into the Mix. The Chiss Admiral is one of the better Expanded characters and one that many fans have hoped would be canonized despite the legends designation of nearly every other corner of the Star Wars galaxy. Instead we got a film that did everything it could to remove connections to the recent past while replicating the distant. The result was an uninspired homage both unoriginal and flawed. There’s hope though, Rebels is pretty good and the entire Clone Wars is still up on Netflix. Or you could just hunt down a proper original trilogy fan edit and enjoy the one story that matters most. You know! The tale where the Prophecy is fulfilled and so much else is wonderfully left to the imagination. For fans of Thrawn here are the buys for for a character with a muddy first appearance history. Here’s hoping the rumors are true and he will appear on Season 3 of Rebels! 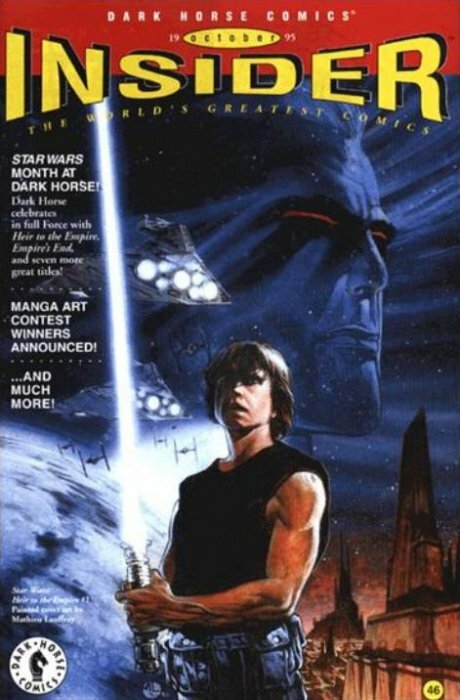 For some time Dark Horse Comics used it’s Star Wars license to print some of the best comics in the history of the franchise including adaptations of Lucas approved novels such as this. Here we have the first comic appearance of the Admiral. Right now it’s an easy find on the web. I recommend the newsstand edition. 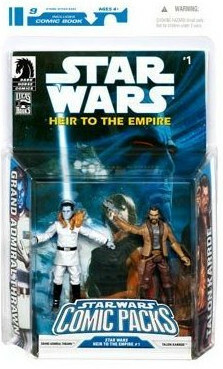 This figure set gives us another Thrawn collectible. Today it is not easy to find. Within the packaging is a rare reprint of Heir to the Empire 1! Comics from packs like this tend to get damaged making the acquisition of high grade copies quite an endeavor. 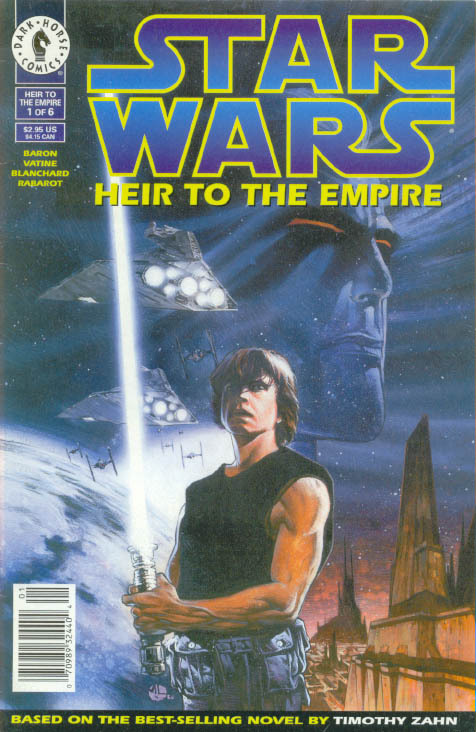 In this issue the cover to Heir to the Empire 1 is published weeks before the release of Heir to the Empire 1. The paper used for these is of a lesser quality than the glossy cardstock used for the mini-series. Collectors and dealers often tossed these preview issues. For both reasons this is one to buy. This one was released in the Fall of 1995. At the very least it came out in October, the same month as Heir to the Empire 1 because it previews the November release of the Essential Guide to the Star Wars Universe. 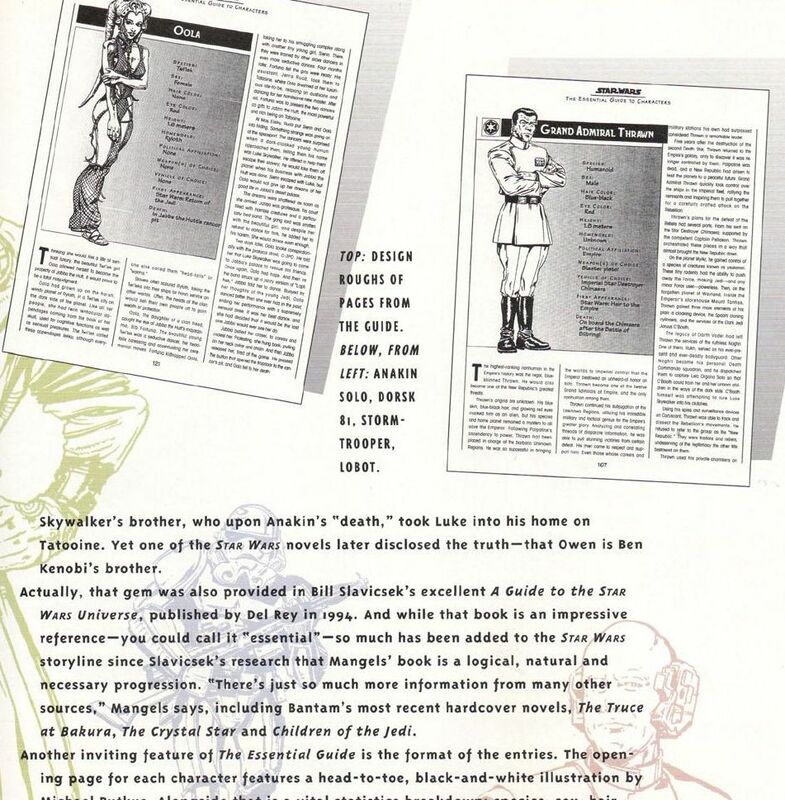 Within that guide is the character description for Thrawn! 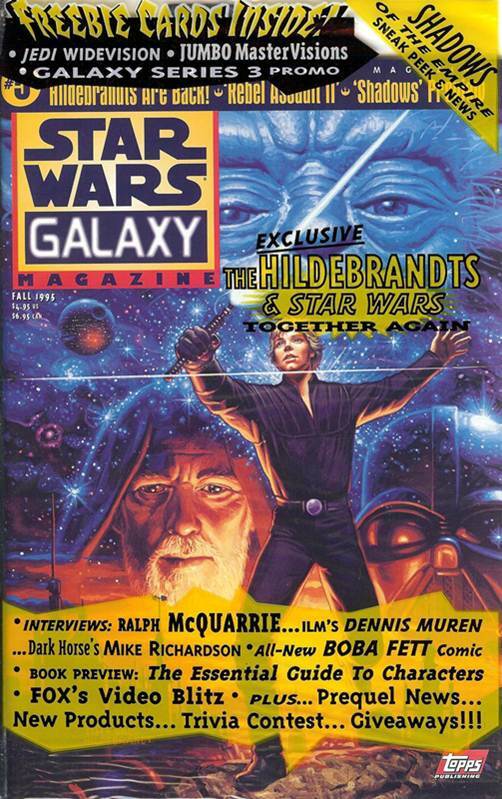 So it is possible that this publication could have come out prior to all other Thrawn appearances, except one. Now here is a book released well before all the others. It previews Heir to the Empire 1 making the first true appearance of Thrawn. It is a relatively hard book to come by but not as impossible as the issue which is often labeled the first appearance of Hellboy. UPDATE: The SDCC issue does preview Heir to the Empire but I wan incorrect, there is no appearance of Thrawn within it’s pages. Not sure why i didn’t comment 2 years ago, but I will say it now, excellent Topher!